The Ceiba Foundation began with the realization that dedicated, energetic people can make a difference in the world. In the 1990s, I volunteered in Paraguay with a small group of conservationists who lacked formal training but were striving to establish a new network of national parks. We were armed with not much more than a stack of worn-out paper maps and one beat up old truck, but powered by intense commitment and desire to protect rare habitats and endangered species across the country. Although I already was planning to pursue a doctoral degree, after six months with them I was convinced: I wanted to make a similar impact on tropical conservation. 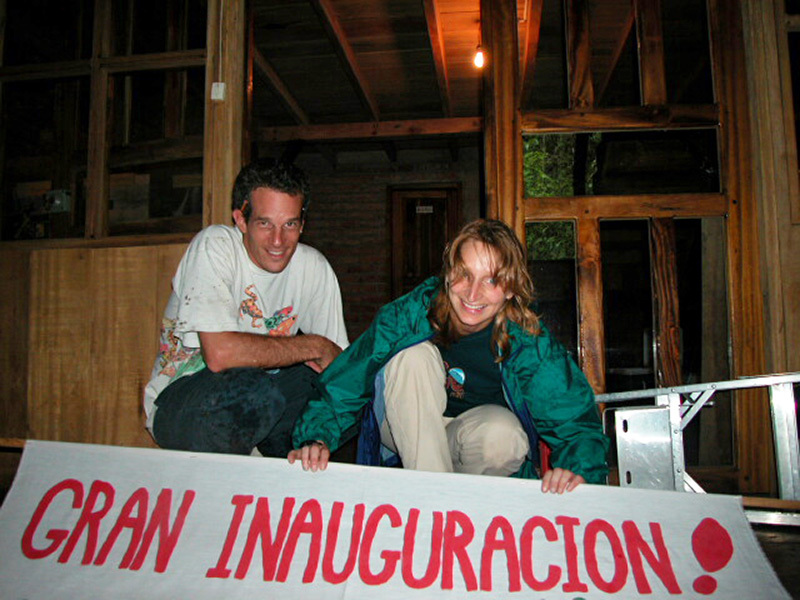 In 1995, with a small group of friends at the University of Florida, the Ceiba Foundation was conceived as a tropical conservation, research, and education organization. Two years later, in a dusty phone booth on a tiny Panamanian island, I received the news that our nonprofit status had been approved: Ceiba was now officially constituted, could solicit donations, launch projects, and get started working towards our goals. A few months after that, while traveling in the mountains of Ecuador, serendipity struck. Catherine and I met Efrain Lima, a rural landowner with a gorgeous forest featuring plunging waterfalls, melodic birds, and myriad dazzling orchids. Efrain said “I want to create a reserve, and am looking for an organization to help,” and we said “we are a new foundation, and are looking for a conservation project.” What good fortune! That chance encounter, and many subsequent meetings with the entire Lima family, eventually led to the establishment of the El Pahuma Orchid Reserve. Since that time, Ceiba founded another reserve, the Lalo Loor Dry Forest, on the highly threatened Pacific coast. We built up a vigorous research program, carrying out investigations ourselves and encouraging scientists from around the world to work at both our sites. 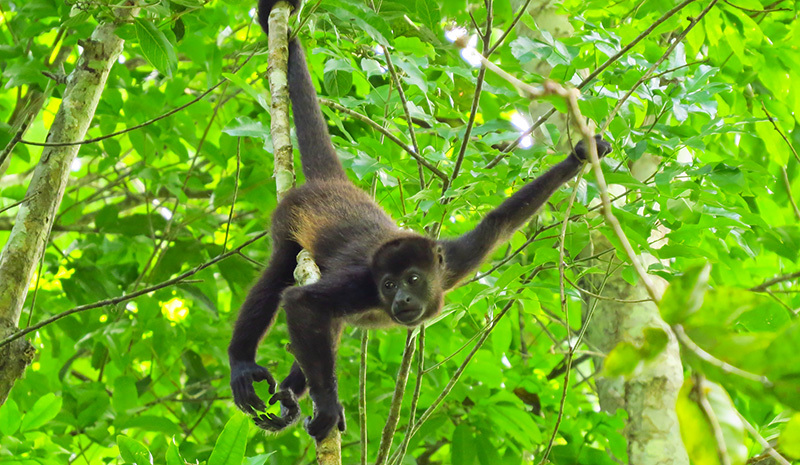 At Lalo Loor, we found a tree species never before recorded in South America, registered range extensions for numerous birds, frogs, and lizards, and made important discoveries about Howler Monkey group dynamics. Along the way, we inaugurated a highly successful program of study abroad courses that take students to some of the incredible sites where we work, and offer them an opportunity to contribute to our ongoing projects. 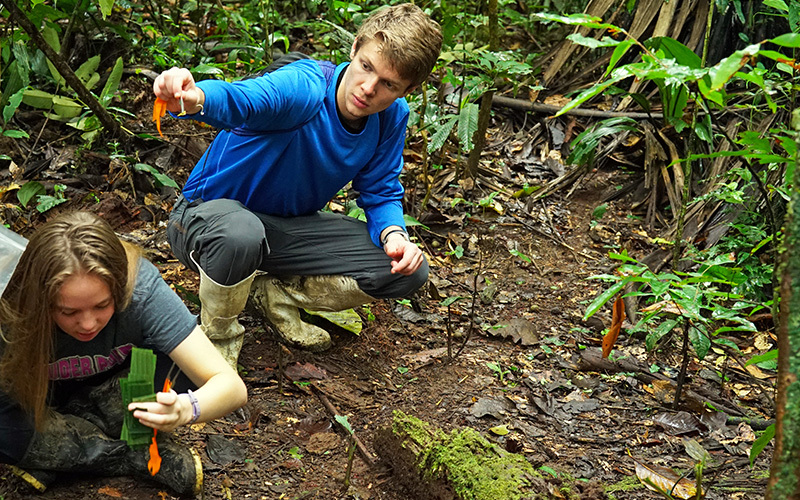 Thanks to a strong partnership with the University of Wisconsin, we’ve led hundreds of US students to places like the Amazon rainforest and the Galapagos Islands, as well as the Lalo Loor and El Pahuma reserves. Our students routinely tell us that their Ecuador field course was a life-changing experience; indeed, many have gone on to do important work in ecologic research, community development, and environmental conservation. All the while, the El Pahuma Orchid Reserve continued to serve as an inspiration to like-minded conservationists who founded similar reserves and ecotourism destinations in the surrounding region. The dedication of this network to safeguarding Andean forests culminated this summer in the establishment of a new UNESCO World Biosphere Reserve that protects 700,000 acres and encompasses El Pahuma. Thinking back to my friends in Paraguay, I am proud to say that Ceiba has followed their lead, armed with limited resources but achieving much through the power of intense commitment and desire to safeguard plants and animals for current and future generations.